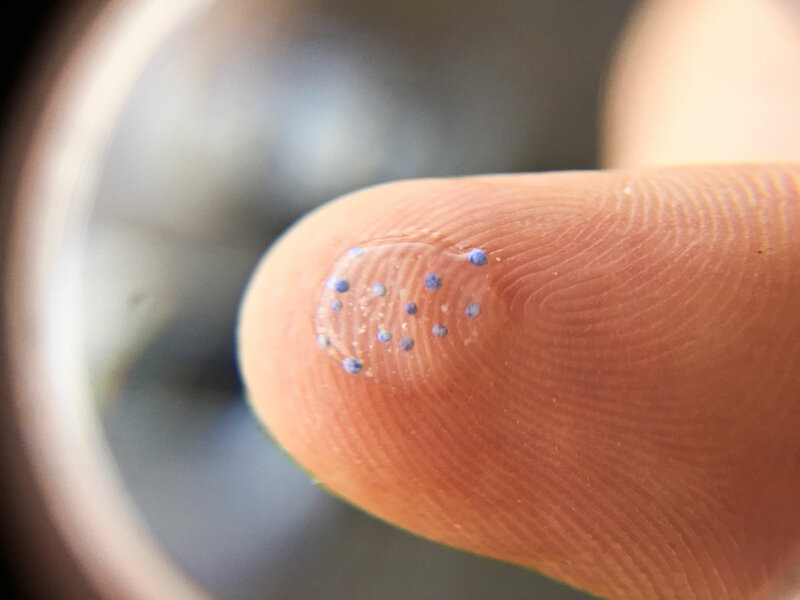 Caption: Close up of microbeads found in cosmetic and household products © MPCA. Personal products containing microbeads are banned from sale in England and Scotland from today but the Marine Conservation Society says more must be done. Retailers will no longer be able to sell rinse-off cosmetics and personal care products containing microbeads, including shower gels, face scrubs and toothpastes. The Government says it’s the final step in its world-leading efforts to prevent these harmful pieces of plastic entering the marine environment. The senior pollution policy officer, at the Marine Conservation Society, said she was delighted that the ban had come into force, adding, “This is the strongest and most comprehensive ban to be enacted in the world and will help to stem the flow of microplastics into our oceans. “We believe that this signals a real commitment on the part of this Government to clean up our seas and beaches and we look forward to seeing further actions to combat plastic waste. The next step has to be to extend the scope of the ban to more products such as suncreams, make-ups and general cleaning products that are used every single day. Although the ban on the manufacture and sale of personal care products containing microbeads is fantastic news, it’s only half the story. The Marine Conservation Society says the ban must be now extended to all products that contain these harmful pieces of plastic. Two years ago, the cross-party Environmental Audit Committee said that the accumulation of plastic in our oceans was increasing the damage done to marine life, as well as leading to potential harm to human health. Last year, Scientists at Ghent University in Belgium calculated that shellfish lovers are eating up to 11,000 plastic fragments in their seafood each year and earlier this year, record levels of microplastics were found in Arctic sea ice. Up to 12,000 of the tiny plastic particles were discovered per litre of sea ice in samples taken from the Arctic Ocean in 2014 and 2015. Dr Kinsey said that research revealed the problems of microplastics in our oceans are even more far reaching than previously realised. She said, “A particular concern, is the fact that much of that microplastic load will be released as ice melts. This highlights the absolute importance of stopping the flow of plastics to our oceans as soon as possible. The Environmental Protection (Microbeads) (Wales) Regulations 2018 is being presented to the National Assembly for Wales in Plenary today. It is expected that the legislation will be approved and will likely come into effect at the end of the month.